One-Stop Truck Repair & Auto Services in Azusa | S.E. Smith & Sons, INC.
S.E. 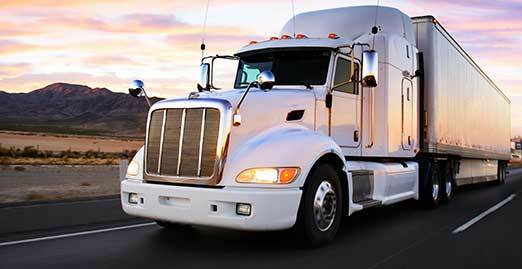 Smith & Sons, INC. is a family-owned and operated truck repair shop serving Southern California since 1962. From our facility in Azusa, our ASE-certified mechanics take care of trucks and fleets from all over the region, and we’ll come to you for service when you need us onsite or roadside. In fact, we started out as a mobile truck repair service, so we know how to handle repairs on the go. We also perform all types of general auto repair services, from oil changes to transmission rebuilds, with the goal of truly being your one-stop repair shop. 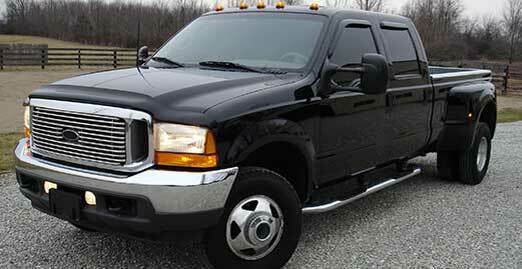 Whatever you drive—semi, Super Duty, or Safari RV—we know how important your truck, fleet, and vehicles are to you. Our mechanics will handle your repair and maintenance needs as if we’re working on our own vehicles. We also understand that you don’t want to go to different repair shops for different services. That’s why we do it all, including basic maintenance, BIT and DOT inspections, complete engine overhauls, computer diagnostics with modern factory scanners, air conditioning, and alignments. Our services are high-quality and guaranteed, and you can trust our prices are fair. We make sure everything’s super-good under the hood! At S.E. Smith & Sons, our goal is for you to trust us and count on us when you need us most. Your vehicle is your means of traveling, transport, and work, and we understand that a vehicle breakdown is not only a problem, but can put you in a major situation. 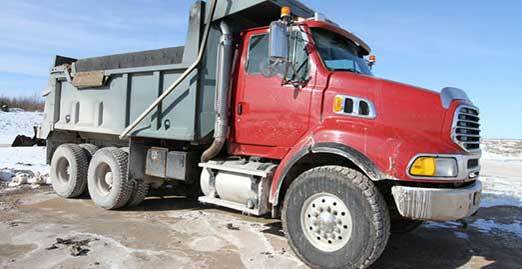 Our mission is to fix more than your truck; we will resolve your situation. We have well-trained, experienced technicians to handle repairs and keep your vehicles safe out there on the road, and our friendly staff will maintain close communication every step of the way. From start to finish, we will make sure you are 100% satisfied with the entire job. 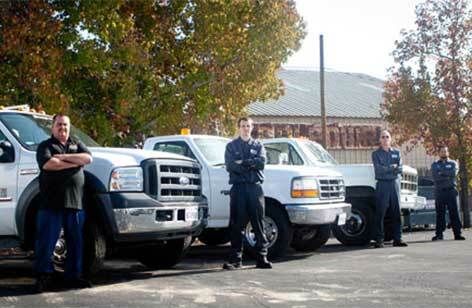 Our reputation is important to us, and we are proud to be known around the area as your one-stop truck repair shop. Our entire team—owners, technicians, and staff—work together to provide you with an awesome experience at our shop. Many of us have been here for years (we’re a loyal bunch), but that’s not to say we’re complacent. We participate in continuous training to stay up-to-date on the latest truck and automotive technology. While we’re working on your vehicle, we also want you to be comfortable, so we make sure to keep a warm, welcoming, clean shop and waiting area. The fact that we’ve been continuously expanding for the past 50+ years shows our customers leave happy, and readily return when they need us. We are always seeking qualified diesel technicians to join our team. We work in a very positive, clean, and well-organized environment. Please send us your resume today, or refer a friend. Our facility is conveniently located at 965 W. Industrial St. in Azusa, CA at the foot of the San Gabriel Mountains, and about 30 minutes from Los Angeles. We serve the entire surrounding area, including the City of Industry, Monrovia, Baldwin Park, El Monte, Duarte, La Puente, Arcadia, West Covina, and Covina. If you’re waiting for service at our shop, we’re in walking distance to many shops, stores, and restaurants in Azusa. If you’re looking for a truck repair and automotive service shop you can count on, look no further than S.E. Smith & Sons. We’ll work with your schedule, and, don’t forget, we offer roadside assistance! Serving Azusa, CA and surrounding areas, including Arcadia, City of Industry, Covina, Duarte, El Monte, La Puente, Monrovia, and West Covina.